Our dough is made daily. Our seasonal ingredients are sourced from small suppliers across Italy and the UK. And our pizzas start from £5. 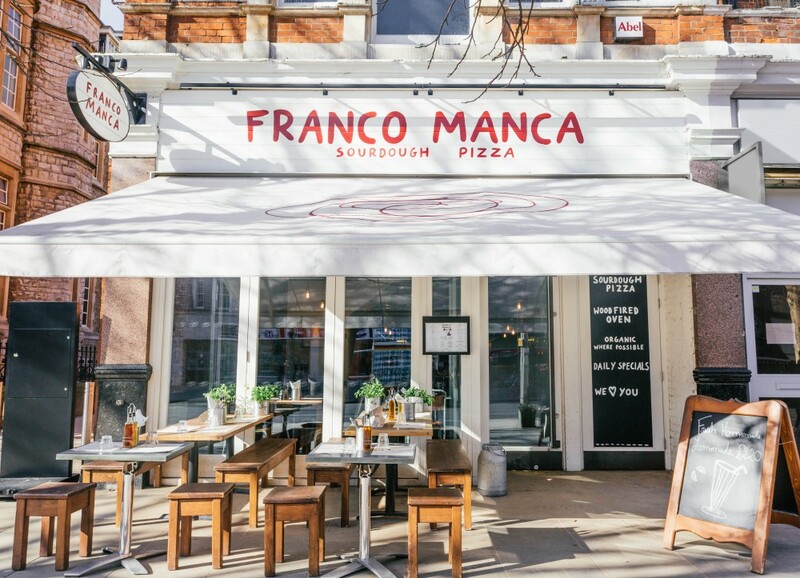 Welcome to Franco Manca. 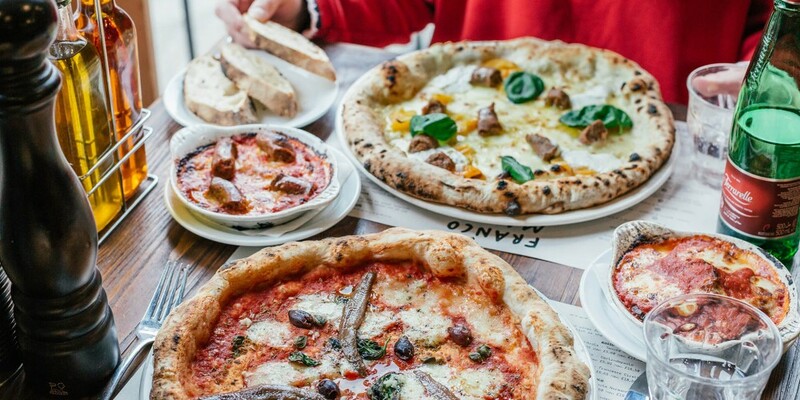 'The best sourdough pizza in London' - Sir Francis Drake. We're now open! Come down to see Vibhu and the team opposite Greenwich market, just around the corner from the Cutty Sark. 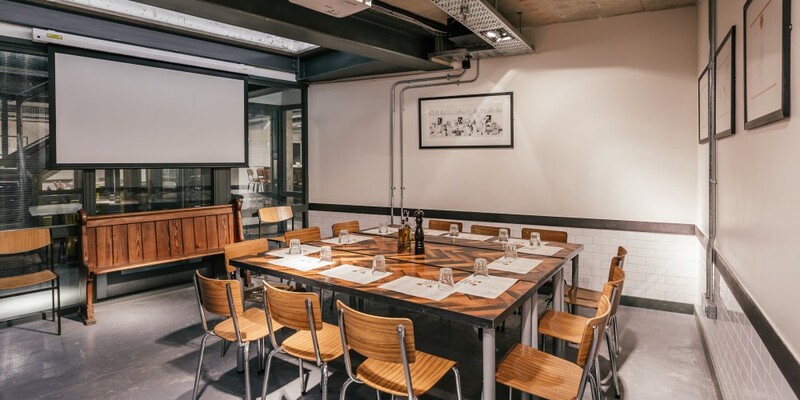 Our sourdough pizzas start from just £5 and our No Logo beer and organic wines will help make sure your event goes off with a bang. We take our time over our sourdough pizza. You don't have to. All our pizzerias have an online click and collect service available. Slow fast food is now even faster. 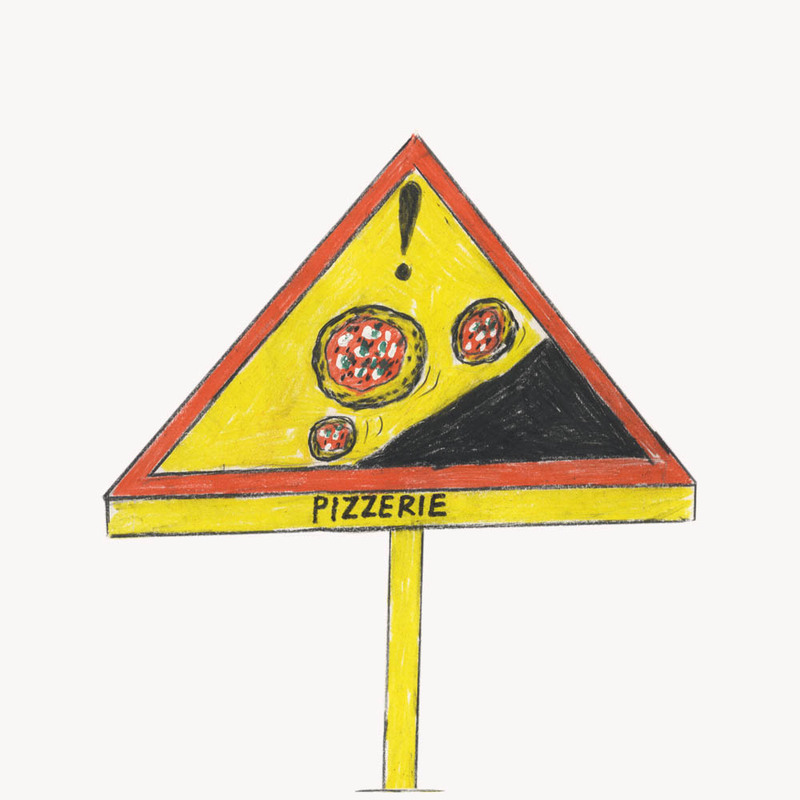 You can enjoy our pizza with principles all over the UK, and even in Italy. Dough made fresh on site everyday with specially selected seasonal ingredients. Search our pizzerias to find your nearest branch. Always eat your crusts. 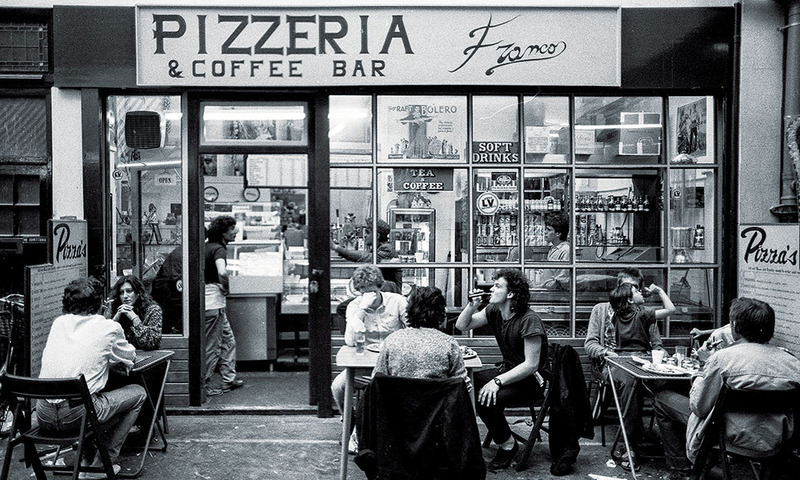 In 1983 Francos was a pizzeria in Brixton Market owned by, you guessed it, a guy called Franco. By 2008 he had had enough and asked his friend Giuseppe Mascoli if he wanted to take it over. 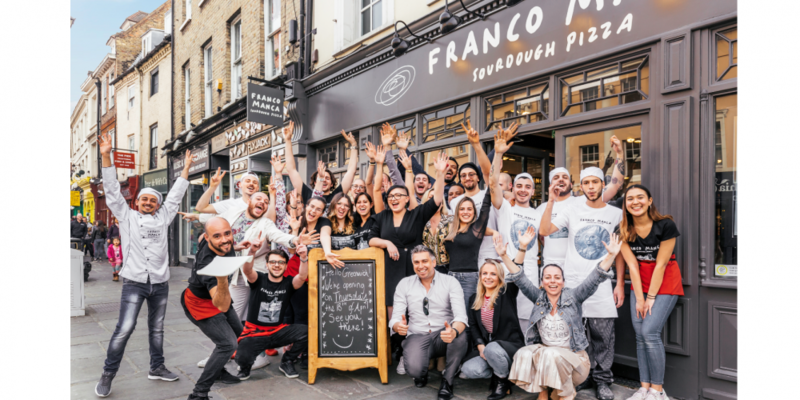 Giuseppe and his friend Bridget Hugo, an artisan baker, took it over calling it Franco Manca, (Italian for “Franco is missing”) in homage to Franco’s hard work. Good food takes time. That’s why, since opening our first pizzeria in Brixton Market in 2008, we’ve championed slow-rising sourdough pizza and properly sourced, small supplier, seasonal ingredients. 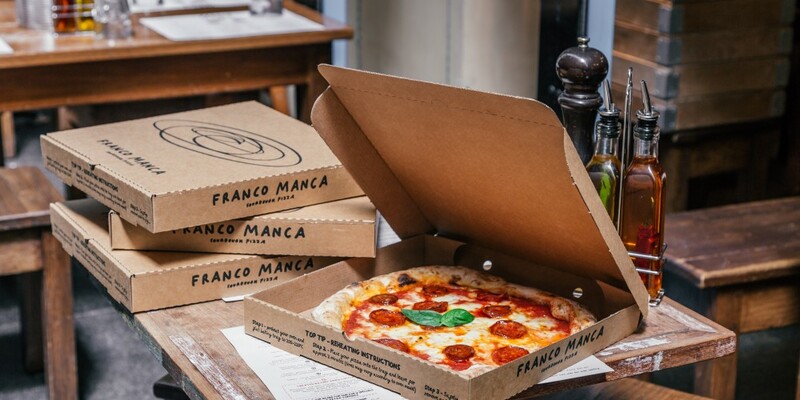 When you eat at Franco Manca, you support people working close to the land. Small farms = Big taste It’s good to know where the things on your plate come from.